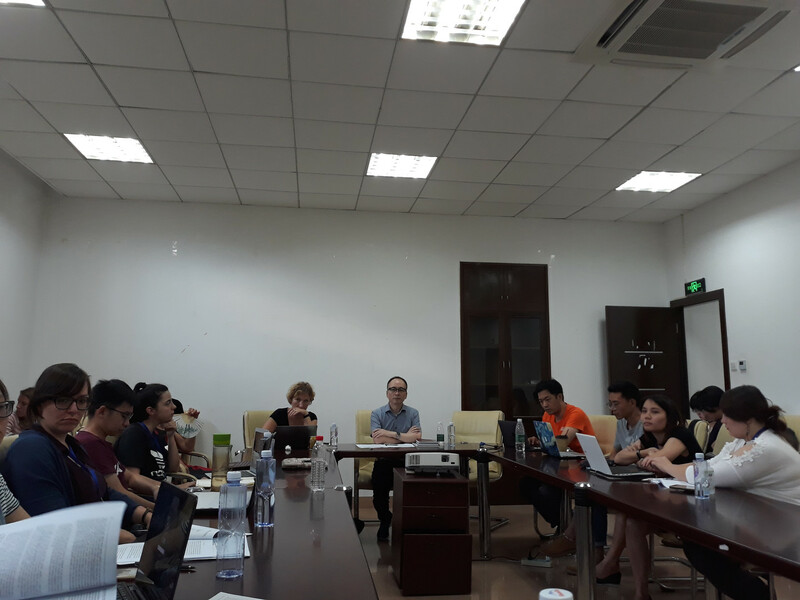 The Excellence Forum “CHINA global: ideas, values, practices” organized from the 10-17 September 2018 the interdisciplinary Summer School CHINA global: Centers and Margins in Xiamen in cooperation with Xiamen University. 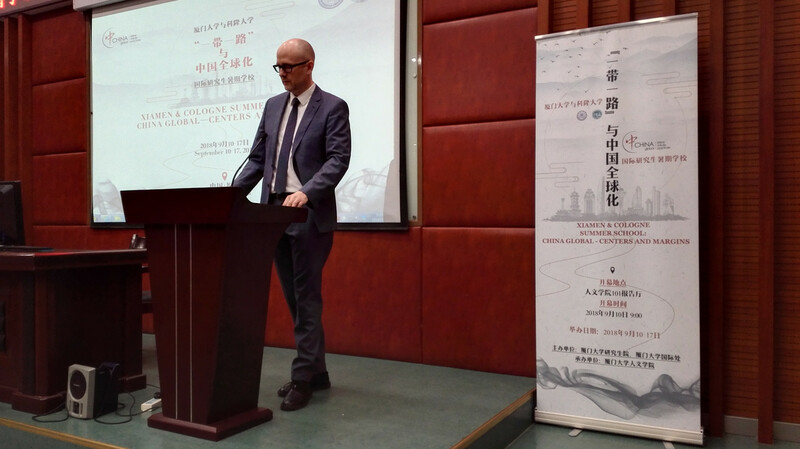 The Excellence Forum CHINA global was established at the University of Cologne in 2017 as part of the German Excellence Initiative, involving the Universities of Cologne, Fudan, Nottingham-Ningbo, and Xiamen, as well as the Stiftung Asienhaus (Cologne) as cooperating partners. 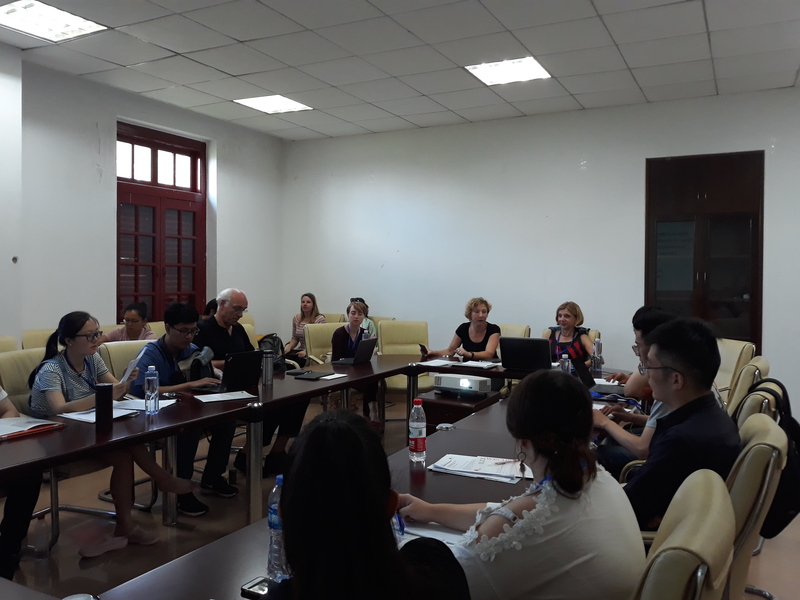 For Master students and PhD students of the University of Cologne, the Xiamen summer school was part of the graduate course “CHINA global,” organized jointly by Cultural and Social Anthropology, Philosophy and Chinese Studies at the University of Cologne. Students of this course attend two public lectures by invited speakers and two research seminars in Cologne, before the leaving for Xiamen. The first public lecture was given on May 7, 2018 by Prof. Dr. Prasenjit Duara (History, Irvine) and entitled “Spiritual Ecologies: Sustainability and Transcendence in Contemporary Asia”. In the research seminar students had the opportunity to discuss with Prof. Duara’s his recent book “The Crisis of Global Modernity: Asian Traditions and a Sustainable Future”. 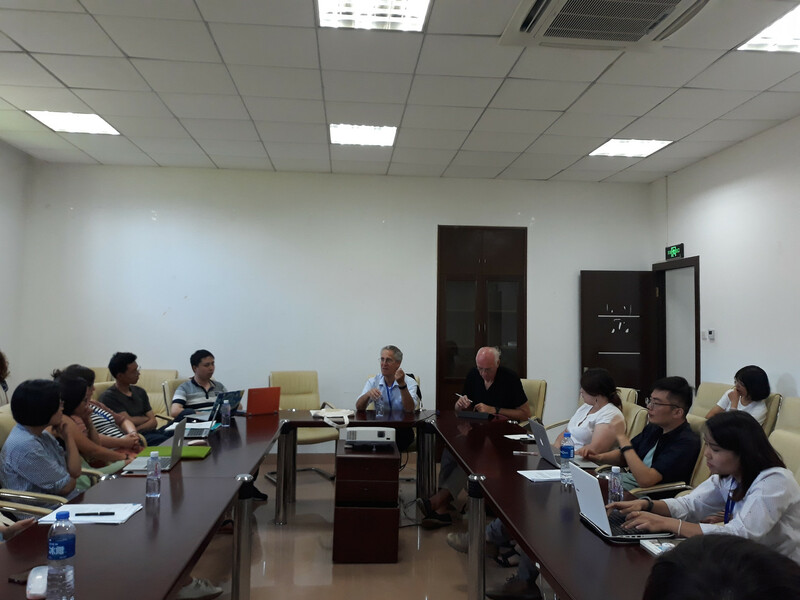 The second public lecture was given on July 9, 2018 by Prof. Dr. Wang Mingming (Anthropology, Peking) and entitled “Historiographic Estrangement: Notes on Chronological Occidentalism in Post-traditional China”. In the research seminar with Prof. Wang students discussed his book “The West as the Other: A Genealogy of Chinese Occidentalism”. The summer school CHINA global: Centers and Margins focused on the philosophical, legal, social and cultural aspects of a new China-centered globalization. Students heard lectures and discussed center and margin perspectives on globalization, Chinese conception of world order, Chinese universalism and Chinese global strategies, as well as features of emergent local worlds of Chinese globalization. 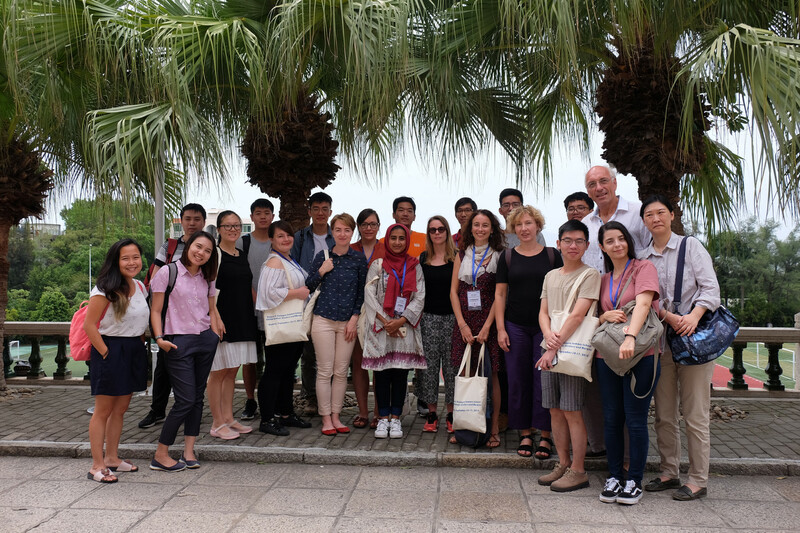 As a practical illustration of the theme, the summer school was complemented by an excursion to Gulangyu island (organized by Xiamen University). To enable intensive discussions and fruitful exchanges between Chinese and German students, we participation was limited to 20 Master and PhD students in total. 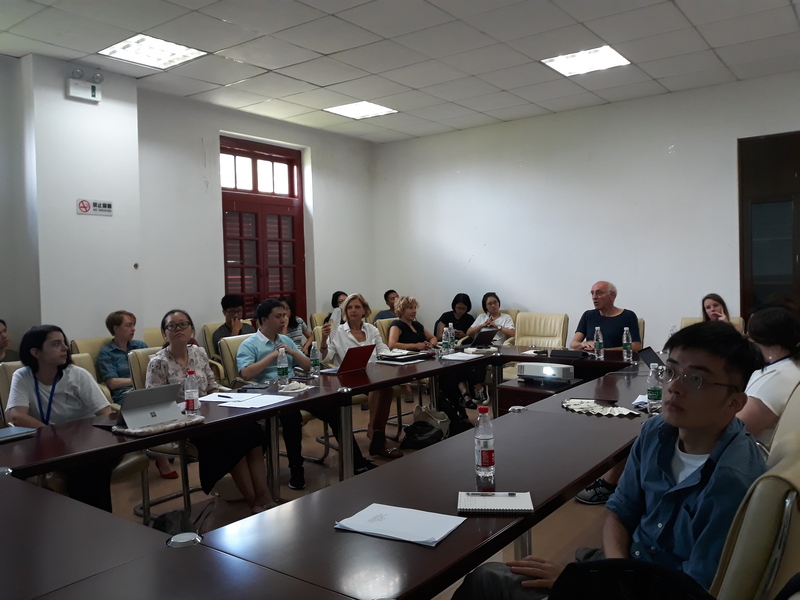 There were 8 participants from the University of Cologne, as well as 11 Chinese participants from various disciplines and universities. 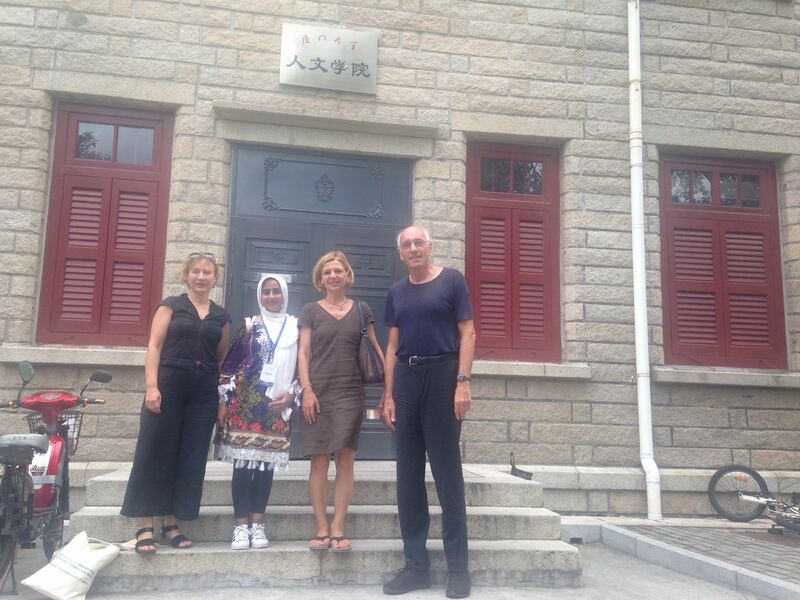 Chinese participants had been independently recruited by China global partners at Xiamen University. 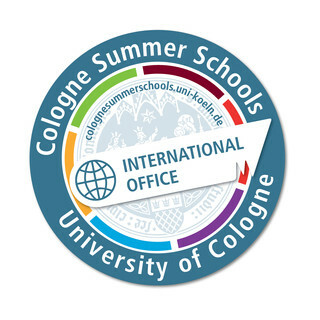 The schedule of the summer school consisted of daily lectures followed by work groups and plenaries. Work groups, led by Dr. Roberta Zavoretti and Dr. des. Sarah Hanisch from the University of Cologne, concentrated on developing questions or statements on the texts that accompanied the lectures. In the plenaries, these were presented to the author and lecture giver, and discussed with all participants and teachers present. 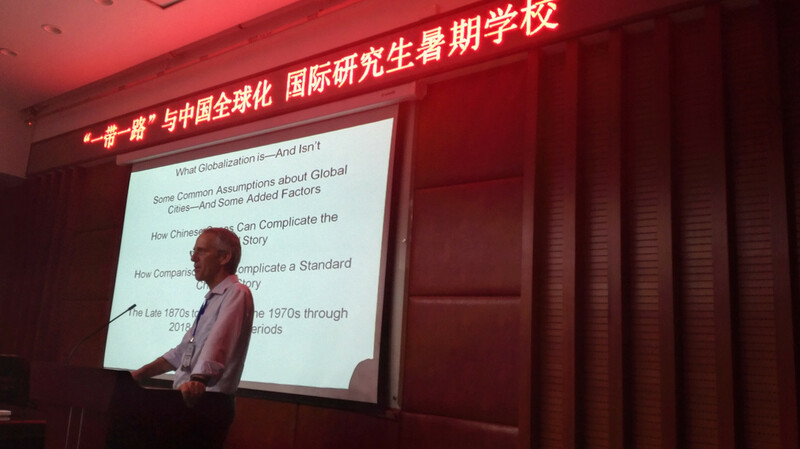 The Keynote lecture of the summer school was given by Prof. Jeffrey Wasserstrom (History, Irvine) entitled “China’s Global Cities in Historical and Comparative Perspective,” in which he raised the question of what globalization is what it is not and cleared some common assumption about global cities. 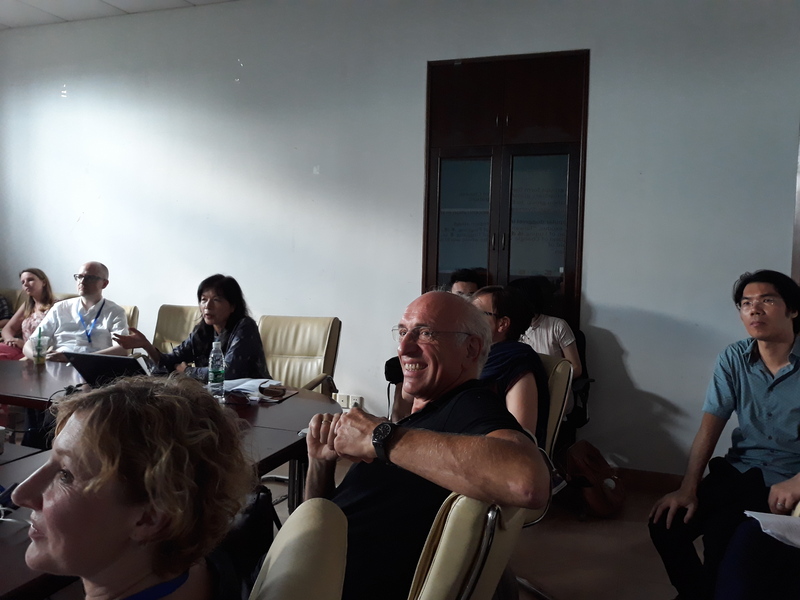 Prof. Dr. Björn Ahl (Chinese Legal Culture, Cologne) focused in his Monday lecture on the Universal Periodic Review of the United Nations Human Rights Council, where he explored the impact of China’s official human rights position. Dr. habil. Nora Sausmikat, Director of China Program at Stiftung Asienhaus (Cologne), presented on Tuesday first insights into the policies of safeguarding environmental and social standards at the new Asian Infrastructure Investment Bank – a major financier of China new “Belt and Road Initiative” – and discussed the role of NGOs in highlighting negative impacts and enforcing international standards. 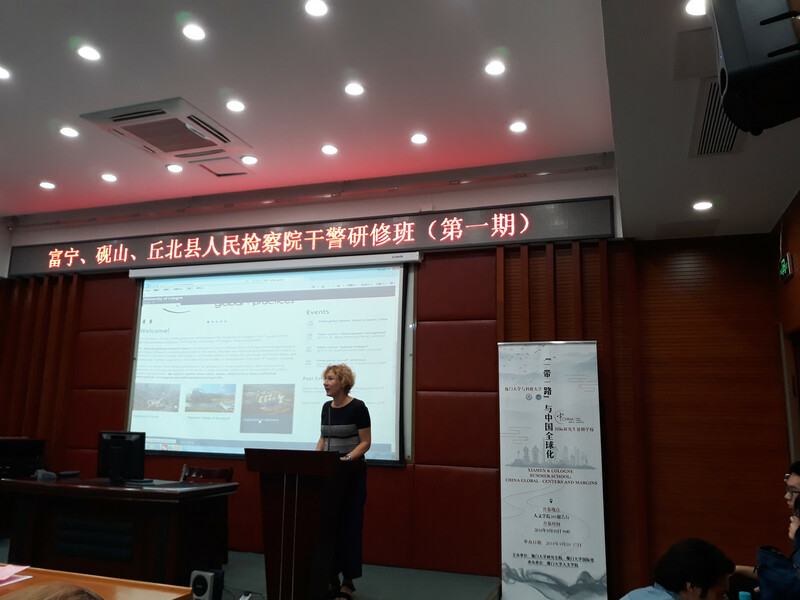 Prof. Dr. Susanne Brandtstädter (Anthropology, Cologne) focused on Friday on the values, practices and ideas which China exports not only as part of its global activities, but also in an active attempt to promote a new sino-centeric “narrative” for a new globalization. Prof. Dr. Wilfried Hinsch (Philosophy, Cologne) addressed in his lecture on Saturday fundamental conceptual and ethical issues concerning the nature of international human rights with an analytic focus on the relationship between rights and their corresponding duties. Three guest lectures were given by professors of Xiamen University and by the Chinese visual artist Xu Tan during the Summer School. Prof. Song Ping (Anthropology, Xiamen) presented on Monday evening her work on Fujianese migrants to New York and the role that hometown associations play in organizing and distributing important economic, social and political resources. 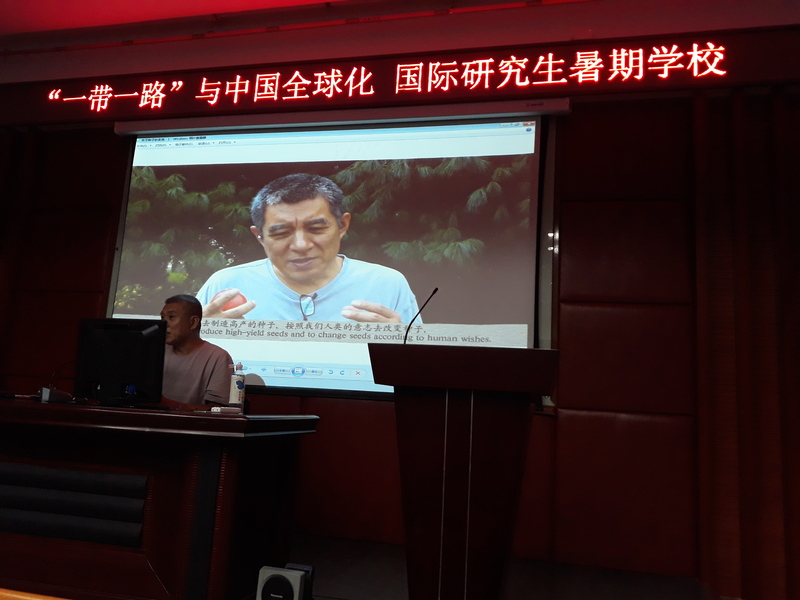 Prof. Dr. Lin Yi (Sociology, Xiamen) held on Thursday evening a seminar on the ethnic minority education in China, with a particular reference to Tibetan community. An important concern of the Summer School has been to raise interest in the academic study of a globalizing China, and to help to launch research projects on this topic at the University of Cologne. We here used the summer school to provide intensive support for students interested in developing such projects. The summer school ended with intensive discussions at the plenary “What have we learned so far,” a roundtable with all teachers, and with presentations by individual students. Two new prospective PhD students in anthropology at Cologne were recruited during the summer school. 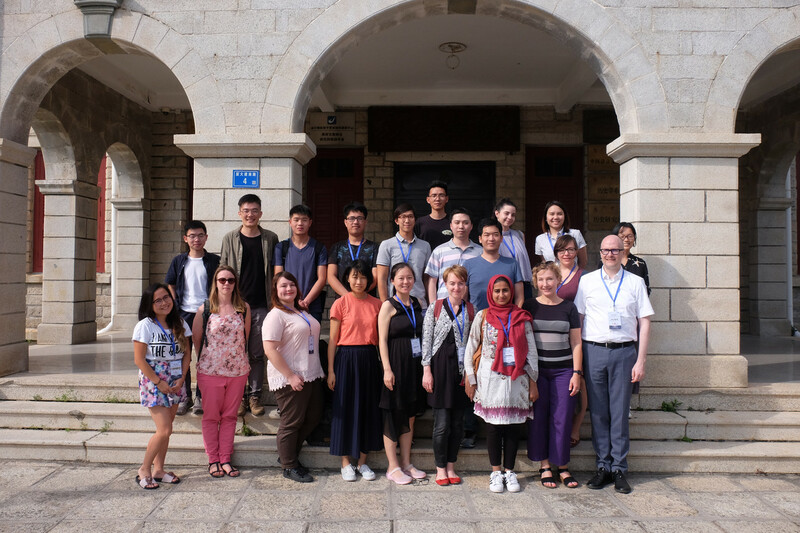 The summer school in Xiamen was an excellent opportunity for all participants to grow academically and broaden their horizons. 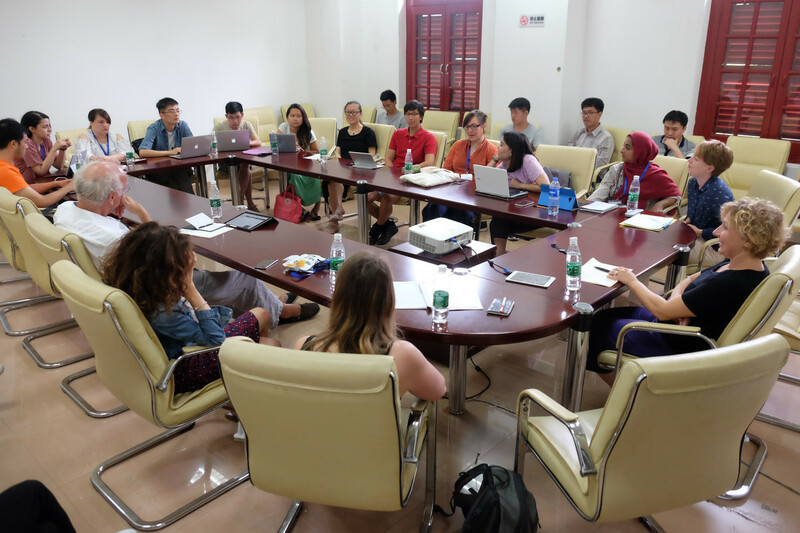 Master and PhD students of different academic backgrounds profited particularly from the Summer School’s interdisciplinary approach and the different insights offered by the participating disciplines on the topic of Chinese globalization.